I never get sick of photos of the USAF Thunderbirds doing their thing because they make real life look way cooler than any sort of movie or video game or fake effects. 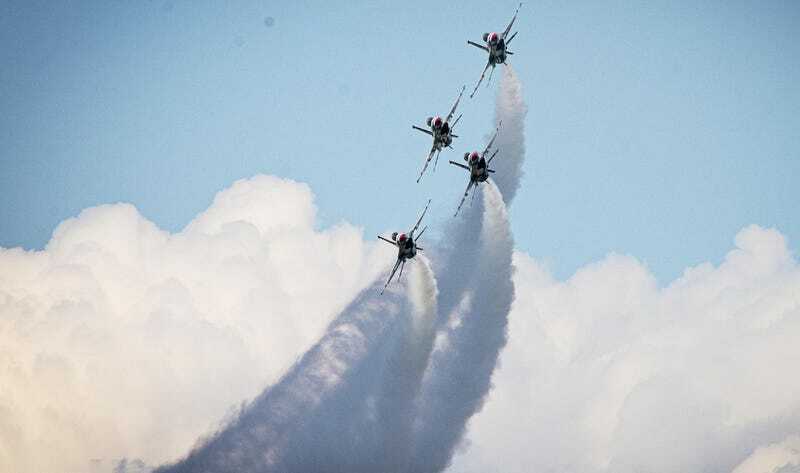 This picture of four Thunderbirds doing the “Diamond Bottom Up Pass maneuver” is taken at such an angle that they don’t even look like planes. Birds. Flying bugs. Ninja stars. Alien warships. Bucky Balls. I don’t know. It’s just so cool.